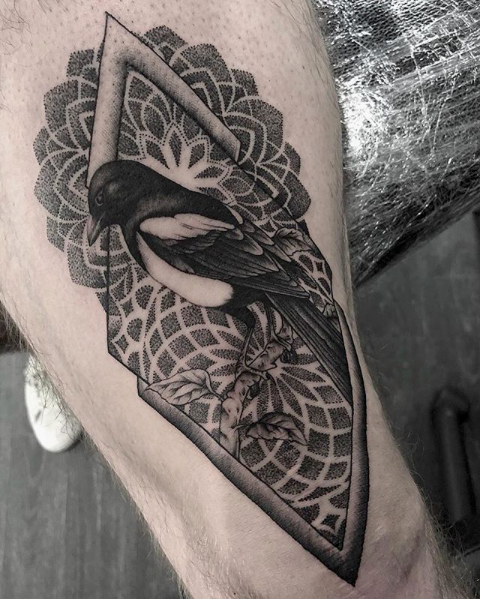 Matt specialises in Geometric and Dotwork styles (black and grey), however due to his experience in the industry he can also put his hand to other styles such as Japanese and Traditional tattoos. After completing his apprenticeship Matt has been tattooing in Cornwall since 2010, and is a well established Artist in the area. He has been part of the Atelier Four team since we first opened in 2014! Matt is also included in Britains largest ever Tattoo Exhibition, 'BRITISH TATTOO ART REVEALED' which is taking place in Museums nationally, and internationally in the future . The 100 hands project showcases silicone arms, tattooed exclusively by 100 of the UK's top tattoo artists. A link to the exhibition here. Hopefully it will be in your area soon! 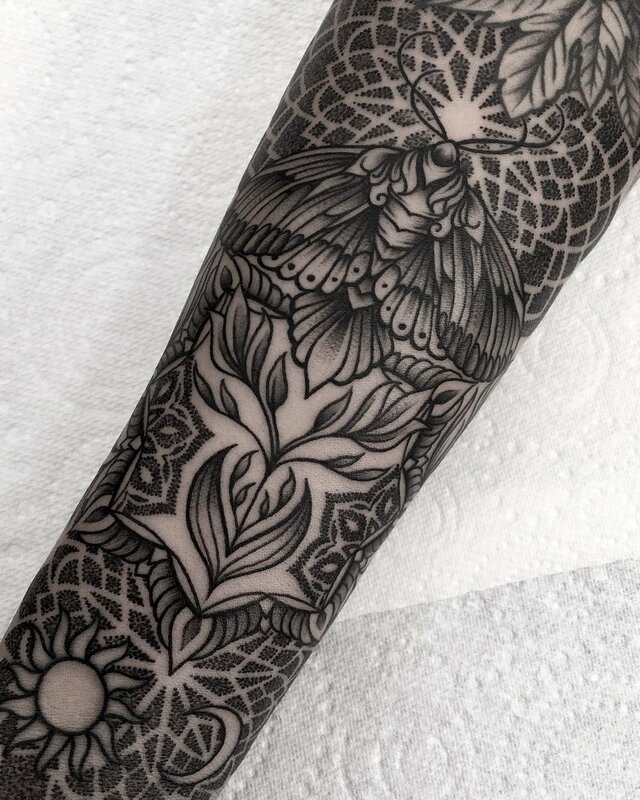 Large scale geometric/dotwork pieces like the sleeves included in his portfolio are what he enjoys working on the most. Allowing him to really showcase what he is able to achieve with his knowledge and experience in this style. For appointments with Matt please get in touch using our Enquiry Form.